Chahal's partnership with chinaman Kuldeep Yadav has been successful and he attributes it to their attacking quality. 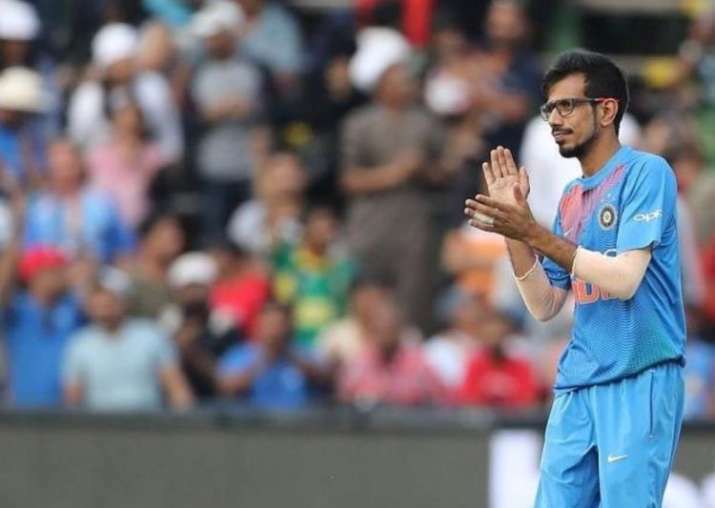 Leg-spinner Yuzvendra Chahal, who has become a vital cog in India's limited overs bowling set-up, revealed on Tuesday that he has developed two variations of googly, through which he will look to deceive best of the batsmen in the UK. "I have two googlies -- one closer to the head and one more side-arm. So I try to mix it up. Batsmen have to look at the head position, so it is an advantage for me," Chahal said on the eve of India's opening T20 International against Ireland. Chahal said that a leg-spinner has more variations than a left-arm spinner. "For example, a left-arm spinner can have only two variations, but a leg-spinner has at least four variations so the batsmen are always thinking about what he is going to face next," said Chahal. While it's not like wrist spinners will automatically win India matches but the wiry Haryana bowler feels that current conditions in England will only help his bowling. "Wrist spinners are a recent trend, and it is not like without wrist spin you cannot win here. But I think conditions here (in Ireland and England) will help spinners. English spinners have picked up wickets in the ODI series against Australia, so that is encouraging for us. England have scored 400-plus tall scores against Australia, and not us," he added. This is Chahal's first tour of United Kingdom and he is desperate to make it count. "Every tour is important for us, but for me especially this is an important one because I have come here for the first time, whether it is Ireland or England. Yesterday, I bowled in the nets in London and the weather was hot, almost same as in the sub-continent. "I hope the weather stays the same and I am looking forward to more hot days like that. Whether I get to play in the first T20 or the second, I am going to enjoy my outing here," he added. His partnership with chinaman Kuldeep Yadav has been successful and he attributes it to their attacking quality. "Whenever Kuldeep and I come on to bowl, we look to take wickets in the middle overs and put pressure on the batsmen. Taking wickets in the middle overs is the easiest way to put pressure on the opposition. Meanwhile, in a worrying development, young spinner Washington Sundar hobbled off the field within India's first hour of training here at The Village in Malahide. He participated in the warm-up football game, as well as the fielding drills for a little time, though the cause of his injury is unclear. The worry is regarding his right ankle, as he needed help from two support staff members to get off the field. An official word from the Indian team management is awaited.